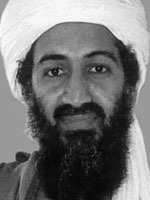 The FBI had direct contact with Osama bin Laden in 1993 and learned that he was trying to finance terrorist attacks inside the U.S., according to the Washington Times. The information about the al Qaeda leader quietly emerged from an employment dispute case involving an FBI agent in 2010 and escaped the attention of the media. “It was the only source I know in the bureau where we had a source right in al Qaeda, directly involved,” Edward J. Curran, a former top official in the FBI’s Los Angeles office, told the court in a case by former agent Bassem Youssef. Members of the Sept. 11 commission and experts in terrorism expressed surprise when told of the discovery. “I think it raises a lot of questions about why that information didn’t become public and why the 9/11 Commission or the congressional intelligence committees weren’t told about it,” said former Rep. Peter Hoekstra, R-Michigan, who chaired the House Permanent Select Committee on Intelligence from 2004 through 2007 when lawmakers handled the fallout from the 9/11 Commission’s official report. Posted: 2/26/14 at 11:25 AM under News Story.